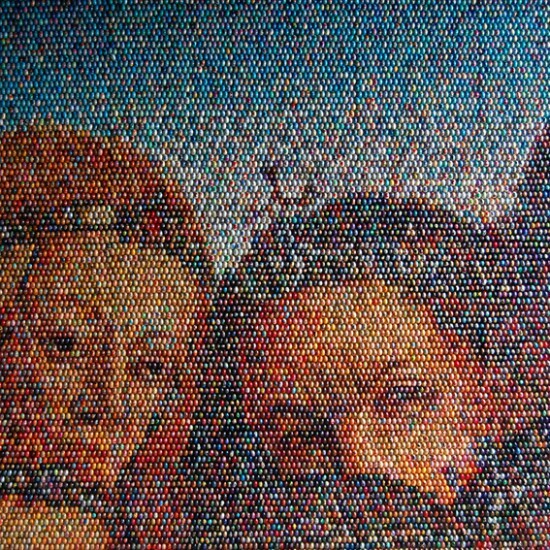 Oksana Mas is a brilliant Ukrainian artist who uses thousands of hand-painted wooden eggs to create incredible mosaics that simply take your breath away. 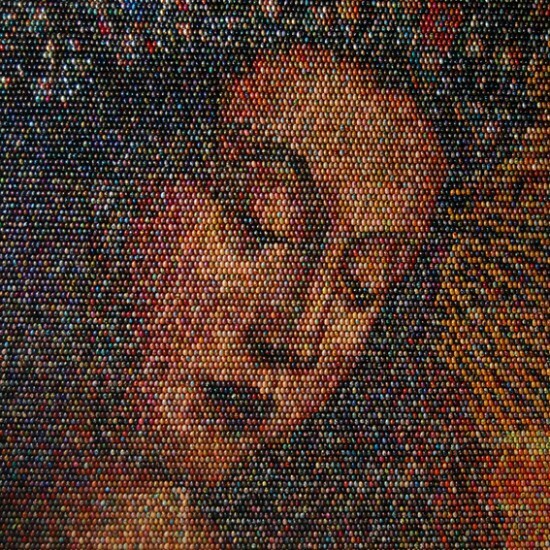 The first time I read about Oksana Mas was in January of 2010, when she created this unique portrait of the Virgin Mary using 15,000 wooden eggs. It took her nine months to complete her masterpiece and you can admire it first hand inside the Saint Sophia Cathedral, in Kyiv. 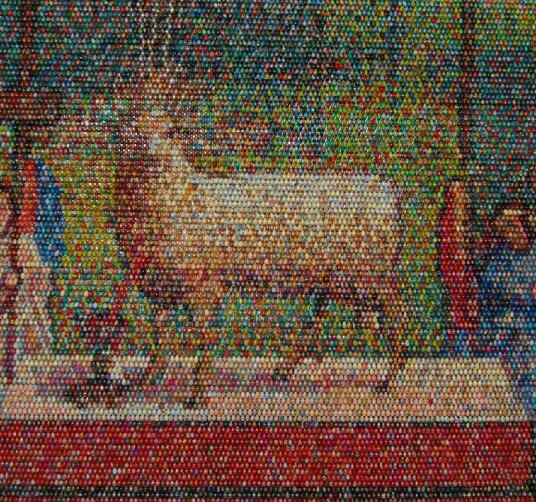 Apparently, the talented Ukrainian artist has been keeping herself busy since then, creating several other wooden Easter egg mosaics for the Venice Biennale, where she’s representing her country. 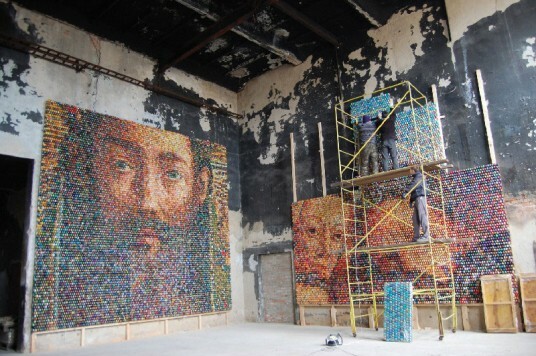 Her monumental installation is called ‘Post-vs-Proto-Renaissance’, features 12 separate pieces, measures a total of 92 by 134 meters and numbers an astonishing 3,640,000 wooden eggs hand-painted by people in 42 different countries. 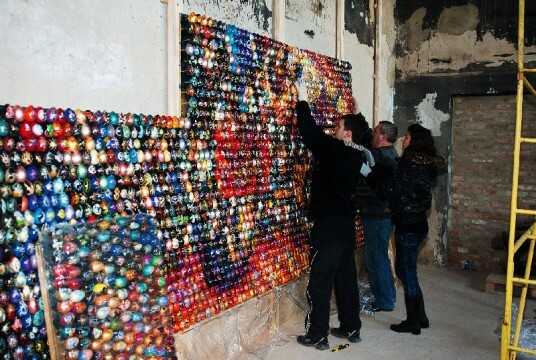 From inmates to intellectuals, thousands of people from all walks of life painted the eggs which were later assembled by Oksana, in her studio. The gigantic egg mosaics are currently on display inside the Church of San Fantin, in Venice, where they interact perfectly with the sacredness of the surroundings. 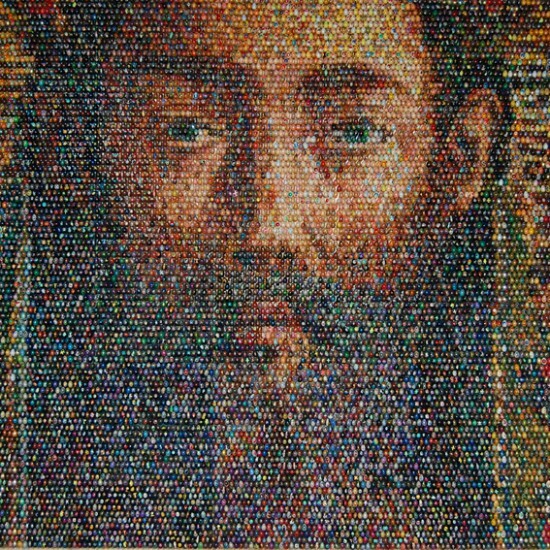 When seen from up-close, every painted egg has its own unique design, but as the viewer backs away, they all come together to form a large scale representation of the Ghent Altarpiece, painted by the Van Eyck brothers. 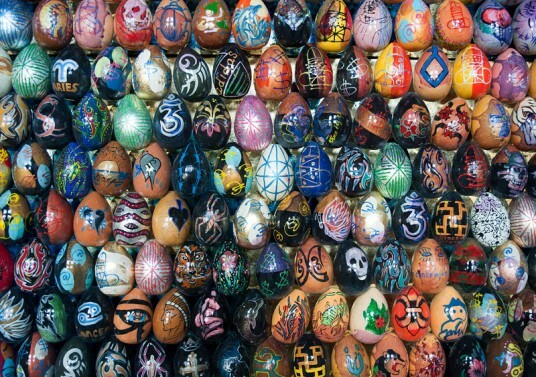 Oksana Mas’ art was inspired by the old Ukrainian folk custom krashenki: wooden eggs covered in traditional Ukrainian designs used to celebrate Easter.